The Horse Photography Contest encourages youth to gain self-confidence, while developing life-time photographic skills and while learning the value of organizing and developing visual exhibits, youth will increase their knowledge of photography as it relates to horses. The Photography Contest is sub-divided into two sub-categories; one for standard photographs and the other for digitally enhanced/altered photographs. Taking a photograph with a digital camera is not considered digitally enhanced/altered photograph. The Digitally Enhanced/Altered (DE) category is for photographs that have been significantly altered using computer software and the alteration is either the main attraction of the photograph or plays a big part in the artistic merit of the photograph. Examples are a horse with wings, green sun and yellow grass; horse with a unicorn horn, horse jumping over the moon.) Use solely of common photographic techniques such as contrast enhancement, adjustment of lightness/darkness, color balancing and cropping do not qualify a photograph for the digitally enhanced/altered category. Each sub-category will be judged separately and awards will be given for each sub-category. The rules will be the same for both sub-categories. 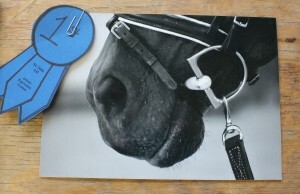 Participants may enter one photograph in each sub-category. 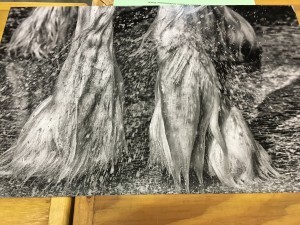 Please thoroughly read the Horse Photography Contest section in the NC 4-H Horse Program Official Rulebook (updated annually) for additional information on contest rules, regulations, submission procedures, etc.